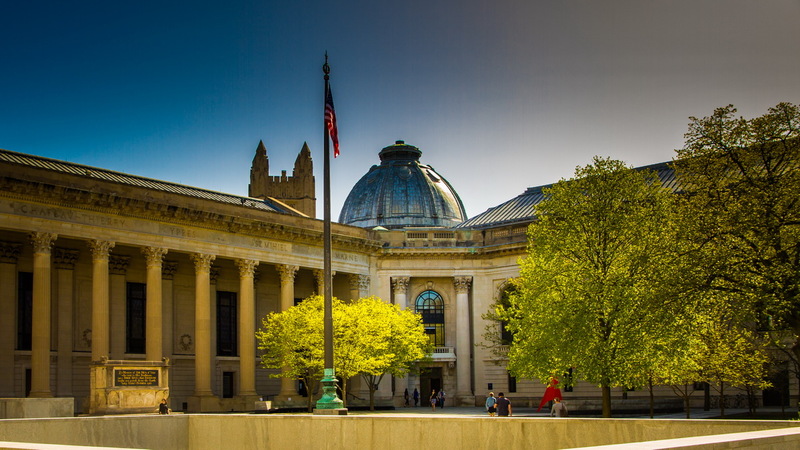 The Zhou lab at Yale University is accepting applications for postdoctoral positions to develop nanotechnology approaches for drug delivery to the brain and to study the biology of brain cancer stem cells (http://medicine.yale.edu/lab/zhou/). The lab uses a combination of stem cell biology and emerging nanotechnology to develop novel therapies for brain cancer and stroke. Applicants should have completed a recent Ph.D. in drug delivery, biological sciences, or related areas. High priority will be given to those candidates with strong background in biomaterial synthesis and nanoparticle engineering, stem cell biology, as well as experience in confocal microscopy, in vivo imaging, and protein purification. Interested applicants please send a brief statement of interest and curriculum vitae with contact information for three references to Dr. Zhou at jiangbing.zhou@yale.edu. 2. Strohbehn G, Coman D, Han L, Ragheb RRT, Fahmy TM, Huttner AJ, Hyder F, Piepmeier JM, Saltzman WM, Zhou J. Imaging the delivery of brain-penetrating PLGA nanoparticles in the brain using magnetic resonance. Journal of Neuro-Oncology, 2015, 121(3):441-9. 3. Ediriwickrema A, Zhou J, Deng Y, Saltzman WM. Multi-layered nanoparticles for combination gene and drug delivery to tumors. Biomaterials. 2014, 35(34):9343-54. 5. Zhou J, Patel T, Fu M, Piepmeier JM, Saltzman WM. Octa-functional PLGA nanoparticles for targeted and efficient siRNA delivery to tumors. Biomaterials. 2012, 33(2):583-91. 6. Patel T, Zhou J, Piepmeier JM, Saltzman WM. Polymeric Nanoparticles for Drug Delivery to the Central Nervous System. Advanced Drug Delivery Reviews. 2012, 64(7):701-5. 7. Zhou J, Garth S, Himes B, Kofi-Buaku A, Saltzman WM. Novel Delivery Strategies for Glioblastoma. Cancer Journal. 2012,18(1):89-99. 9. Zhou J, Zhang H, Gu P, Bai J, Yin D, and Zhang Y. Cancer stem/progenitor cell active compound 8-quinolinol in combination with paclitaxel achieves an improved cure of breast cancer in the mouse model. Breast Cancer Research Treatment. 2009, 115:269-77. 10. Zhou J, Zhang Y. Preclinical development and screen of cancer stem cell targeted drugs. Expert Opinion in Drug Discovery. 2009, 4(7):741-52. 11. Zhou J, Zhang H, Gu P, Margolick JB, Zhang Y. Identification of NF- B pathway inhibitors preferentially inhibit breast cancer stem cells. Breast Cancer Research Treatment. 2008, 111(3):419-27. 12. Tao SC*, Li Y*, Zhou J*, Qian J, Schnaar RL, Goldstein IJ, Zhang Y, Zhu H, Schneck JP. Use of mammalian cell surface glycan signatures in pathogen tropism, cell differentiation, and biomarker identification. (*equal contribution) Glycobiology, 2008, 18(10):761-69. 13. Zhou J, Zhang Y. Cancer stem cells: models, mechanisms and implications for improved treatment. Cell Cycle. 2008, 7(10):1360-70. 15. Zhou J, Wang Z, Sun SQ, Zhang HJ. A rapid method for detecting conformational changes of differentiation and apoptosis HL60 cells by Fourier Transform Infrared Spectroscopy. Biotechnology and Applied Biochemistry. 2001, 33:127-32.